﻿ 5 Free Automation Tools for WordPress to Improve Your Online Marketing » Red Mango Marketing! Wouldn’t it be great if you could automate tedious marketing tasks and save your valuable time? By using the right automation tools, you can avoid boring repetitive tasks while spending more time on what matters to your business. Now don’t worry if you’re on a tight budget. There are tons of free automation tools to help you improve online marketing, thanks to WordPress. Let’s take a look at some free automation tools for WordPress that you need to use to start automating this year. Online forms are one of the most important points of interaction on any website. When your prospect fills out a form, they’re taking a step forward in their buyer journey. Processing dozens of form submissions manually can be tedious and time consuming. Rather than wasting your time by manually entering information into a database or a third-party app, you can automate them. WPForms is the most intuitive contact form plugin available on the market. It is shipped with a drag and drop builder that allows you to create a beautiful online form quickly and easily. The lite version is available to download for free in the WordPress plugin repository. It comes with a Constant Contact integration that enables you to create Constant Contact opt-in forms right from your WordPress dashboard and submit data to your Constant Contact account without any hassle. Try out Constant Contact Forms for WordPress and start building our email list today. The lite version is also bundled with smart conditional logic that lets you create a checkbox in your contact form, which, if selected, adds your users to your newsletter. The premium version is shipped with a Zapier addon that allows you to connect your WordPress forms with 500+ web apps to save even more time. Without a doubt, the integration possibilities here are just endless. Do you want to drive more traffic to your site from social media by automatically sharing your old blog posts? With the Revive old posts plugin, you can keep your old posts alive by sharing them on social media automatically. To automate social sharing, you can set a sharing interval and number of posts to share. The plugin also allows you to use hashtags to focus on topics. This is a great tactic to increase the visibility of your shares, attracting more visitors to your site. The plugin also lets you exclude specific categories and posts from sharing. With the free version of the plugin, you can share your posts to Twitter and Facebook, while the premium version adds support for LinkedIn, Tumblr, and Xing. Do you want to automate user tracking in Google Analytics? While Google Analytics allows you to track every user interaction on your site, you need to implement extra codes on your site to enable tracking for eCommerce transactions, form submissions, file downloads, etc. If you’re not a developer or an Analytics expert, enabling all those Analytics features can be tough. For example, if you’re offering dozens of different file downloads on various parts of your site, you’ll have to implement events tracking code on each of the download links. Using the MonsterInsights plugin is the easiest way to set up Google Analytics on WordPress without having you to touch a single line of tracking code. The free version makes it easy to track all the data you need on a basic website. You can also enable downloads tracking, outbound clicks tracking, ignore specific logged in user roles from tracking and more. The premium version comes with tons of addons that enable you to track eCommerce transaction, ads, online forms, Google AMP, Facebook Instant Articles, and many more. Learn how to use Google Analytics with your campaigns to get smarter about your email marketing. You can’t manually provide a personalized user experience on your site by delivering relevant and useful content based on visitors’ demographics and onsite behaviors. Using Google Optimize is one of the best solutions to deliver personalized content tailored to user demographics and behavior. Google Optimize is a free A/B testing and personalization product that lets you easily run A/B tests to see what works best for your audience. Since it’s a freemium product, it’s a perfect solution for small and mid-sized business that can’t afford an enterprise-level A/B testing solution. It’s built on top of Google Analytics, so you can import Google Analytics goals to Google Optimize to see what resonates with your audience. You can either create a test variant using the Google Optimize visual editor or set it up by duplicating your content with separate URLs using WordPress itself. You can then choose who should be included in the test by targeting specific demographics. Before you run A/B tests and personalize content on your site, you’ll have to manually implement the Optimize tracking code on your site. If you’re after a plugin that makes it easy to connect your WordPress site to your Optimize account, you may use MonsterInsights Pro. Find out how to test different subject lines using A/B testing to find out which one gets more option. The headline of your content is the number one thing that attracts your audience to your website. It’s vital for you to set enticing headlines for every piece of content you publish. Do you want to test multiple headlines and stick to the one that resonates with your audience? As Google Optimize is a heavy product, it offers a bit of learning curve, so you might not want to use it just for headline testing. A good alternative to Optimize for headline testing is Title Experiments Free, a free tool that lets you test different titles and set the one that works best for your audience. It’s the most intuitive way to test different versions of your titles and discover what your readers find interesting. With the right marketing automation tools, you can save your precious time by doing things that matter to your business. To get going with these tools, it will take only a few minutes, and you’ll be on your way to automating your tedious marketing tasks. 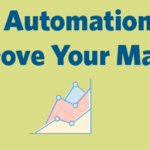 See how Constant Contact can help you easily automate your email marketing. The post 5 Free Automation Tools for WordPress to Improve Your Online Marketing appeared first on Constant Contact Blogs. This entry was posted on Monday, March 26th, 2018 at 8:00 am	and is filed under Automation, Email Marketing, News & Updates. You can follow any responses to this entry through the RSS 2.0 feed. Both comments and pings are currently closed.